Can a label maker bring you joy? Kind of. 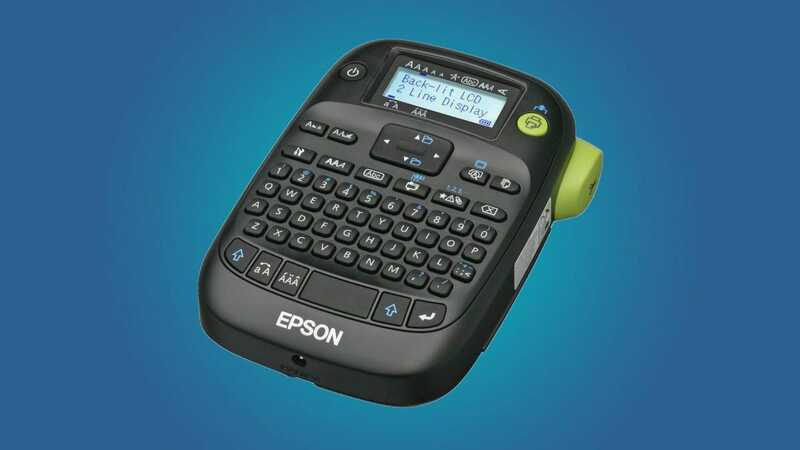 It can certainly help you organize your life a little better and make it easier to find things—we’ve got a selection of great label makers for aiding everything from everyday items to crafting or outdoor use. There comes a time in every life where you suddenly realize just how useful having your own custom labels are—or would be if you had a label maker. Whether it’s because you need to label some power adaptors so they’re easier to identify, or you want to set up an intricate Tupperware storage system to organize hobby supplies, there’s a label maker for you. 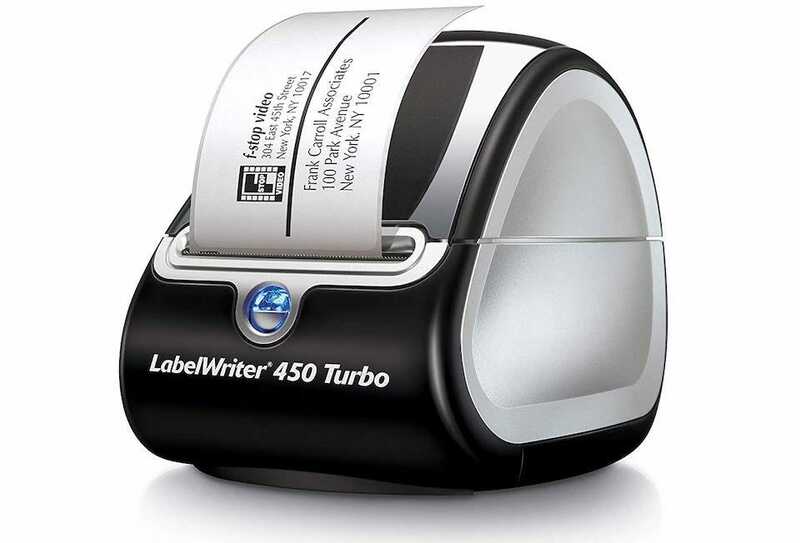 Our list encompasses label makers of varying abilities and prices, but all are high quality and sure to improve your organizational skills in some way. 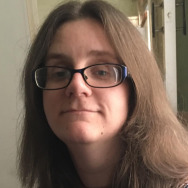 Even if the idea of them sparking joy might sound unlikely. Here’s the pick of the best label makers. 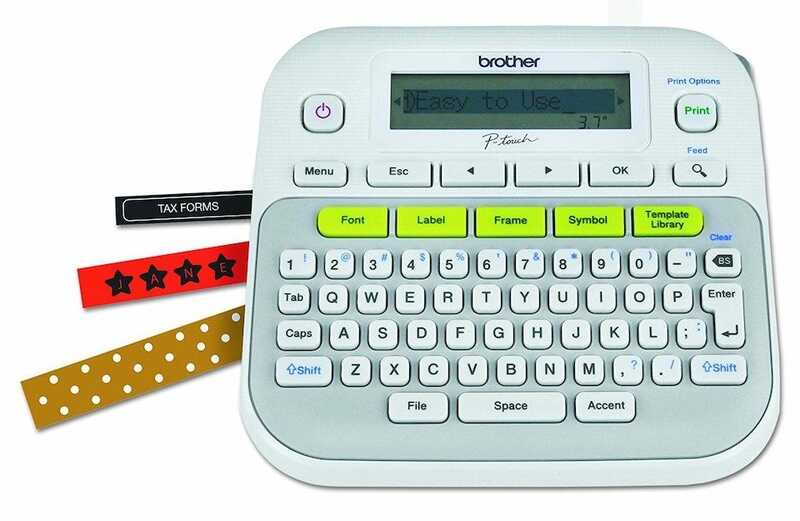 If you need a label maker for mostly everything in your life then you can’t go wrong with the Brother P-touch PTD210. It’s suitably versatile for many different situations. With one touch keys, you can easily gain quick access to fonts, frames, symbols, as well as templates. It also has an easy access memory system so you can store up to 30 labels for quick reprinting. 14 fonts are available with 10 unique styles, 97 frames, and more than 600 symbols. Because of all that, it works just great for boringly responsible tasks like organizing tax records, as well as more fun projects like arranging your herb garden pots nicely. A rugged label maker is necessary if you plan on heading outside a lot with it or to more industrial locations. That could be if you’re in the server room labeling up cables, or if you’re simply delving into the attic to tidy up some wires. 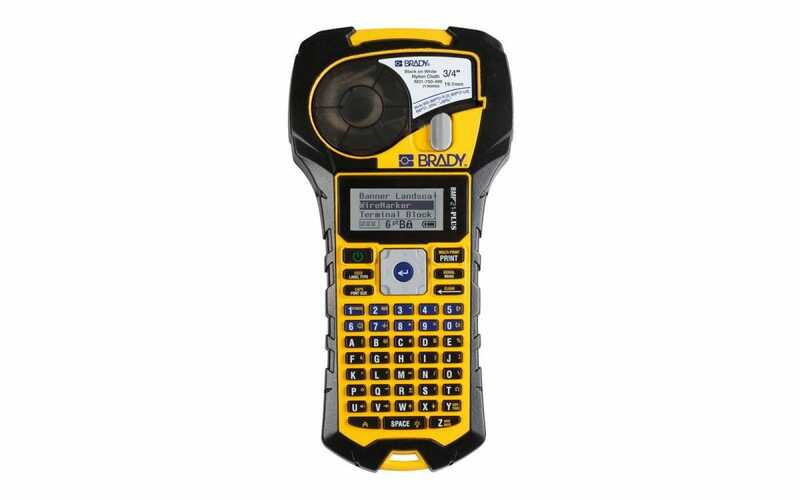 Even if you just need a tough label maker to survive clumsy drops in a warehouse then the Brady BMP21-PLUS Handheld Label Printer is for you. This handheld label maker is sturdy and will fit alongside your toolbox nicely. It skimps on an extensive array of ‘pretty’ features for the text but there are still over 100 symbols to choose from. It’s suited well for working on irregular or rough surfaces thanks to the labels’ aggressive adhesive. Each of them has superior chemical resistance too. For small business owners, the DYMO LabelWriter 450 Turbo is well worth checking out. That’s because, through the DYMO Stamps software, you can print USPS-approved postage directly without any extra hassle. It’s also possible to print up to 71 address, shipping, file folder, barcode, and name badge labels per minute. Additional options also mean you can create customized labels directly from your PC or Mac, which is great if you want to show off your business name and reputation. It’s a neat touch particularly if you’re still establishing yourself. Thermal printing technology means you don’t have to worry about paying up for ink and toner either. It’s perfect for regular eBay or Etsy sellers. 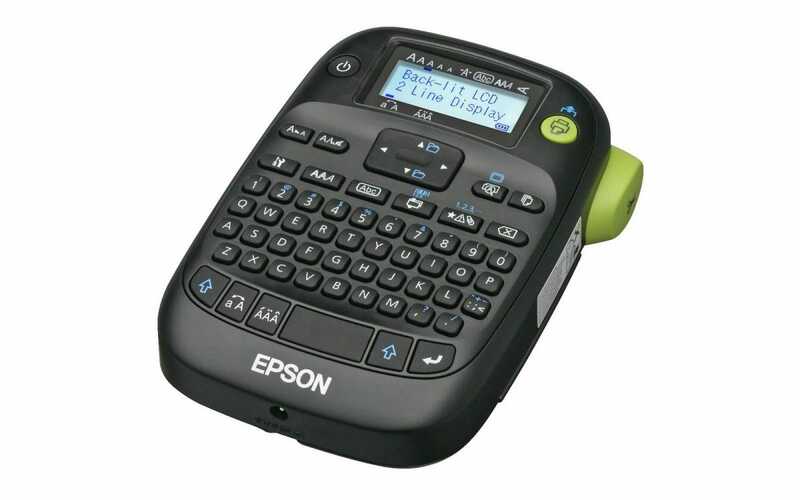 The Epson LabelWorks LW-400 Label Maker is particularly great for crafters because it offers some quirky styles and options amongst more traditional fonts and symbols. 14 fonts are available, along with over 300 symbols, 10 styles, and 75 frames. Alongside that, the Epson label maker is one of the few that uses its margins well. Each label has a small margin so the tape isn’t wasted and the results look far better than chunky blank space like you get with other label makers. The fonts are far quirkier than most too, so it lends itself well to more unconventional label printing. Crafters will be happy, but maybe not neat freaks who will need something clearer. 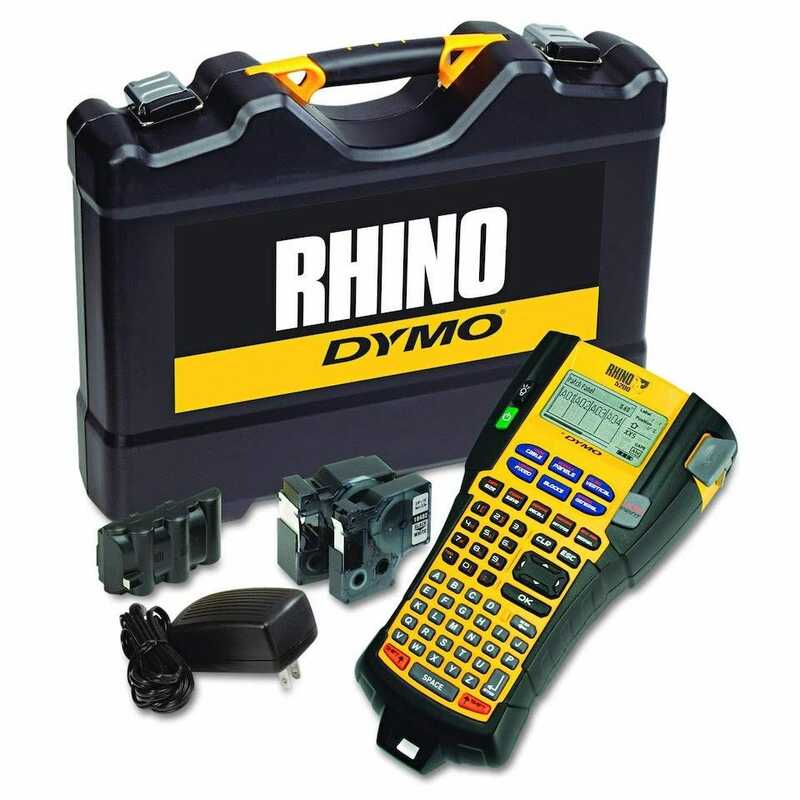 The Brady label maker is great for rugged outdoor use but the DYMO Rhino 5200 Industrial Label Maker is the absolute best for those after an industrial grade label maker. That’s because it uses DYMO industrial labels that are chemical, heat, and UV resistant. This label maker will even print heat-shrink tubes and non-adhesive labels. As well as that, its hotkey functionality will automatically size, space, and format text for electrical/patch panels or terminals, with a wire/cable flags also an easy option. It’s not cheap but it’s ideal for the professional who needs to label vital components. Blacklights are a great party piece, and they’re especially useful after the party is over. Why? Well, you can use a blacklight to find any critters or bodily fluids that may have stuck around. If you’re lucky, your router came with a few Ethernet ports. If you’re unlucky, it only came with a couple. Either way, a good switch can give your network a lot more flexibility.